My business is built on Repeat clientele. I keep my prices low to accommodate for repeat visits. We would like to thank all of our men and women who have served or are serving our country. We are offering a 10 percent Military Discount for Vets and Active Military! You can get pricing under our more link, and can still conveniently book with Sarah,or Jennifer with our book now button!! Swedish massage therapy is the modality that comes to mind when most people think about massage. As the best-known type of bodywork performed today, one of the primary goals of the Swedish massage technique is to relax the entire body. This is accommodated by treating the muscles with long gliding strokes in the direction of the blood returning to the heart. Swedish massage goes beyond relaxation . Swedish massage is exceptionally beneficial for increasing the level of oxygen in the blood, decreasing muscle toxins, improving circulation and flexibility while easing tension. * I do suggest to make your Swedish massage 90 minutes. 60 minute Swedish massage can seem rushed. Deep Tissue massage therapy is similar to Swedish massage, but the deeper pressure is beneficial in releasing chronic muscle tension. The focus is on the deepest layers of muscle tissue, tendons and fascia (the protective layer surrounding muscles, bones and joints). Deep Tissue is a massage that is often used in a more concentrated area. Sports massage therapy is geared toward athletes of every kind, from world-class professionals to weekend joggers. The particulars of the sports massage is specific to the athlete's sport of choice. Focusing on areas of the body that are overused and stressed from repetitive and often aggressive movements. Prenatal massage: Studies indicate that massage therapy performed during pregnancy can reduce anxiety, decrease symptoms of depression, relieve muscle aches and joint pains, and improve labor outcomes and newborn health. (When booking this massage for yourself or your Loved one we request that they be in the second trimester of the pregnancy). Hot Stone Massage Just like deep tissue massage, the therapeutic benefits of hot stone massage have been around for centuries. Basalt Stones; polished, hardened lava rocks, are heated to about 120°F by water in an electric heater. The heat works in concert with the therapist's pressure to penetrate the muscles and easily perform deep tissue manipulations. This process melts away tension, creating a calming atmosphere. Insomnia and depression can be helped with a hot stone massage. The penetrating heat of the hot stones helps to relieve pain associated with arthritis, fibromyalgia, MS, and back pain. This therapy helps with the circulatory system to stimulate the flow of oxygen and nutrients helping the body to detoxify and heal. In summary, it gives you a feeling of overall good health. Aroma Therapy Aromatherapy is one of the easiest, most accessible, and beneficial forms of holistic healing. While there are several different methods of applying aroma therapy, it is definitely something everyone should try. The easiest way to explain the practice of aromatherapy is the art of accessing different essential oils in order to alter the mind, body, spirit, or health. 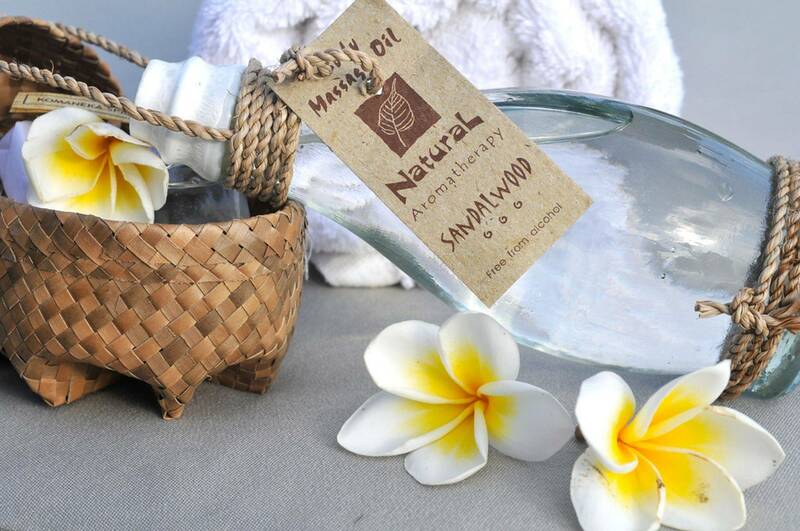 There is nothing artificial about aromatherapy, everything used comes from nature. * An additional $3.00 charge various essential oils to choose from. Signature Facial with an hour massage: Combine our signature facial with an hour Swedish or Deep Tissue massage, for pure relaxation. $120. Must be booked with Sarah! Couples Massage: What an awesome way to spend time with a family member, spouse, or friend. We offer couples massage in the the same room. $55 dollars per person for an hour and $75 per person for 90 minutes. Please Call to schedule your couples massage. Seated Chair Massage Chair sessions specifically target the upper body, where many people experience the most stress. The neck, shoulders, back and head are frequently the sites of tension, and the therapist has easy access to these areas when the client is sitting in a chair. The result is a more targeted approach to massage that pinpoints exactly where the most stress lies. If you are a business or club please call for Seated Massage group rates. Seated massage is an excellent way to keep up employee productivity and morale. Seated massage can be handled easily with sign up sheets and does not interfere with the flow of the days business. Hand and Foot massage begin with the massage therapist will apply a moderate amount of cream or oil, making sure the hands or feet are warm and comfortable. The foot massage may begin with stroking of the top of foot, between cords located on top of foot at instep and moving in the direction of toe to ankle. Hand massages incorporate similar techniques concentrating on knuckles and palms. Initial gentle pressure yields to increasing pressure, with circular motions of the thumb and fingers over the sole of the foot or palm of hand, and even more pressure in areas such as the ball of the foot or heel of the hand. Cash, Check and all Major Credit/Debit cards accepted. Booking a massage is so easy, just click on the link below ! An appointment confirmation will be sent immediately !! Thanks for looking I look forward to scheduling with you !